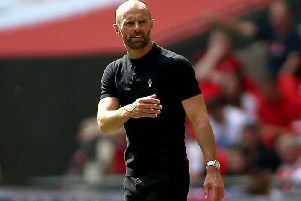 Rotherham United beat play-off rivals Scunthorpe United in a thrilling game in One. It was fourth versus fifth, as Paul Warne's side looked to cement their spot in the top six. And it was Rotherham who broke the deadlock on 31 minutes. Will Vaulks's ball into the box found Joe Newell, who hooked the ball into the net. And the Millers made it 2-0 with 20 minutes remaining, Semi Ajayi heading home. But Lee Novak raced away at the other end, to make it 2-1, but Rotherham managed to hang on to take all three points. “I was really pleased, obviously," said Millers chief Warne. "I thought it was a really good game with two really in-form teams.